Arrow Season 7 Comic Con Trailer! Our first look at “Arrow” season seven is here! During their panel at Comic Con today, the first trailer for season seven was premiered, and it gives us a great look at what we can expect this upcoming season. You can check out the trailer in the video above, where we see how Oliver is handling prison life with some familiar faces, Star City without vigilantes, the return of Ricardo Diaz, and our first look at the Long Bow Hunters! Speaking of the Long Bow Hunters, three new cast members were also announced today who will make up this group of assassins hired by Diaz. 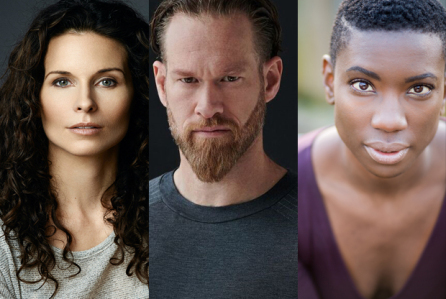 Actress Holly Elissa will play Red Dart, actor Michael Jonson will play Kodiak, and actress Miranda Edwards will play Silencer. ”Arrow” season seven is already looking like an exciting one, as I thought the trailer did a great job of setting up the stakes for what’s in store for our heroes this season! ”Arrow” returns for it’s seventh season on Month, October 15th.